A few days ago, a tweet by a colleague of the digital realm, Jacques Bakaev (@jbakaev) got us going with a few repliques which I ended with the graphic above. 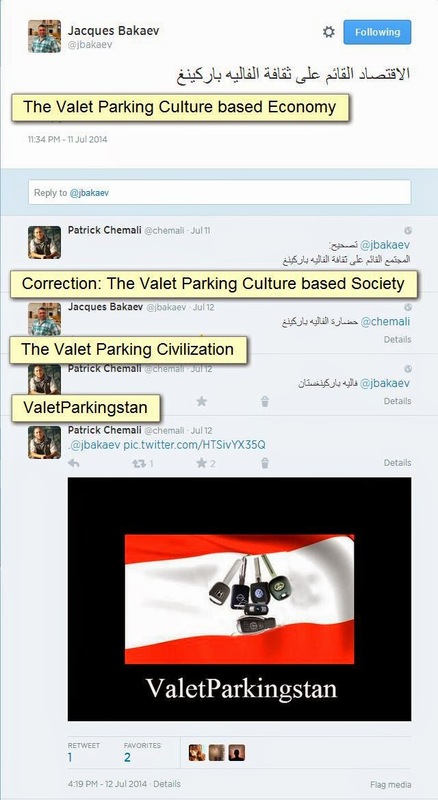 The original tweets were in Arabic and read as follows in this translated annotated screenshot. The topic of Valet Parking services hogging the streets and bullying people is not new and has been tackled over and over again. Either through individual incidents either through serious reporting and accusations of political backing but my point here is much simpler and does not involve any conspiracy theories. 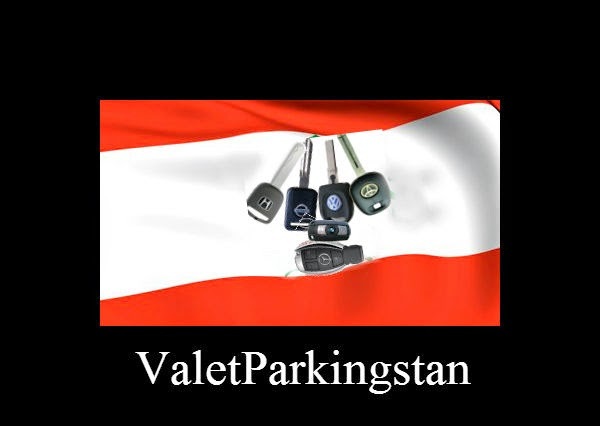 The Valet Parking business in Lebanon strives because the Lebanese want it. There is a sense of self-importance that immediately surges in the heart and mind of the average Homo Libanis when a guy walks up to his car door and hands him a ticket that holds the not-so-certain promise that he will be taking care of his vehicle. I mean, seriously, how many of us will ever get to walk a red-carpet event. The closest that many will get to being center stage is at their eventually pompous wedding ceremony but imagine if you could feel that important day in day out. Another added perk to using the valet parking is the privilege of being able to snub other people who do not like to employ the service. Accusing them of being cheap ( شحاد نوطي) or stupid (مجدوب ما بيعرف يرتاح) or sometimes reversing the situation on them and accusing them of being condescending because they refuse to adhere to the social norm: "so his car is more important than ours?" Finally, you have the ones that rationalize why they subscribe to the valet parking culture by blaming the state for not offering public transportation, for not having proper parking areas or for not offering decent sidewalks. While I might agree on the fact that the country is lagging behind in infrastructure, I cannot subscribe to the notion that people are no longer able to take a Taxi or an Uber to a destination where parking is difficult. I have been doing this for years and I know many people who would rather choose a different venue for their outing if the only option is for them to hand their vehicle to a guy who will hand you a paper saying that the management of the valet parking service is not responsible for the car or any of its contents.